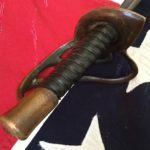 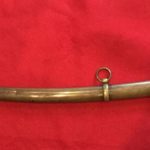 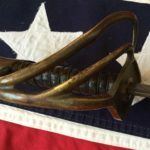 The newest addition to my collection is an 2nd Model Enlisted Men’s Cavalry Sword made at the C.S.A Arms Factory in Kenansville, North Carolina. 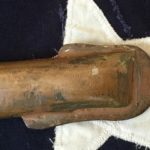 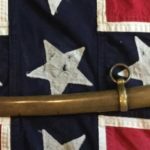 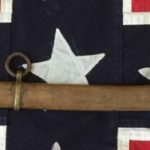 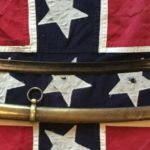 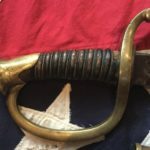 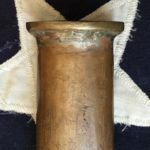 The interesting thing about this Confederate sword is its copper scabbard, which happens to be in very good condition. 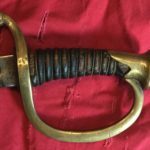 Not really certain if this scabbard is original to the sword, however it fits the scabbard well and just looks really cool. 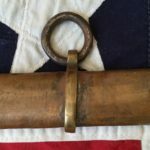 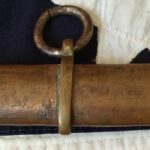 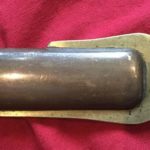 Most Kenansville Cavalry Swords are marked with Roman numerals on the edge of the knucklebow (this example is marked with RN # XXVIIII or 29) and most scabbards are marked with a Matching RN # on the top of the throat (this example is not) leaving one to believe that this scabbard is not original to the sword. 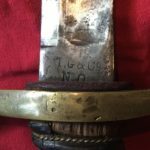 I’m also told by the experts that this scabbard is an earlier version, considered to be the 1st Model scabbard. 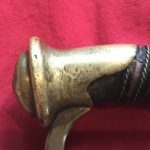 So maybe, just maybe they made the sword at the factory and they had a 1st Model scabbard lying around which just happen to fit the sword……don’t really know, because I wasn’t there…..one things for sure it’s a really neat sword and scabbard. 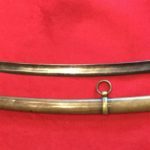 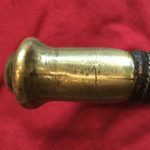 The blade on this sword has some pitting and is very dark but is not damaged in any way and the brass guard has great color, color that takes 150 plus years to create. 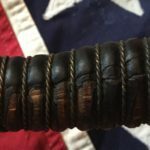 The grip has been rewrapped at one time or another, which is a bummer but there’s worse things in life. 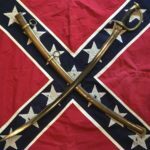 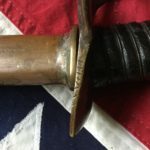 The Scabbard is just about as pretty as it gets (my opinion) when it comes to Confederate Scabbards. 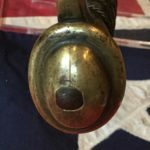 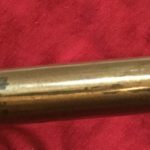 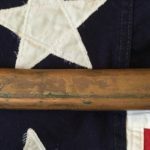 The 150 year old copper color is just over the top and its crude soldering on the back just reeks of the Confederacy, and I say that in a loving way…..you can see traces of red paint throughout suggesting that it was originally painted. 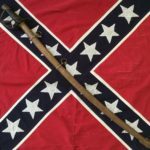 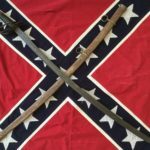 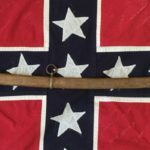 This is not unusual for Confederate Scabbards to be painted either red or black. 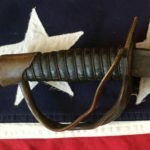 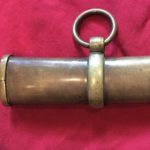 If you have any questions about this sword and scabbard or any of the other weapons in my arsenal feel free to ask, if you have any Confederate Weapons you’d like to sell let me know maybe we can work out a deal. 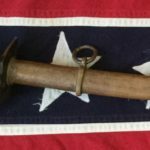 Contact me at civilwararsenal@yahoo.com attn Gene West….thanks for stopping by the Civil War Arsenal.